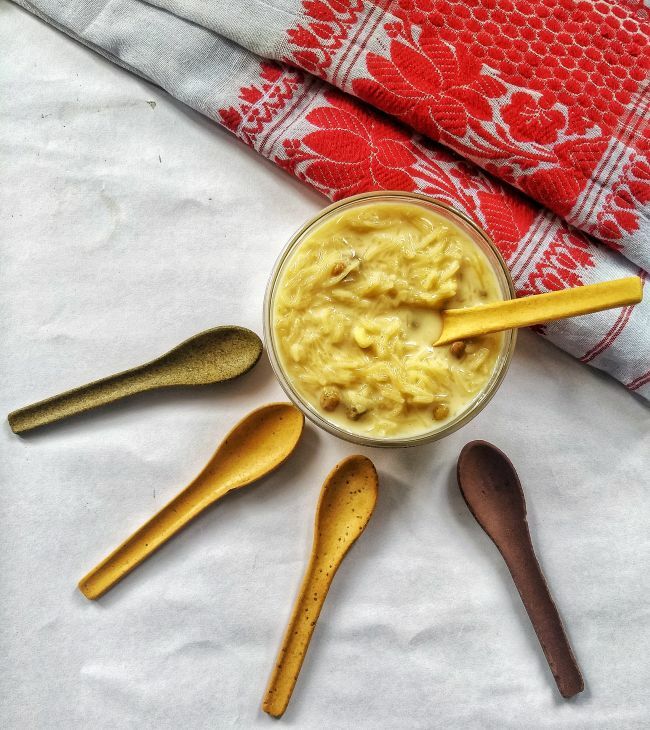 Earlier we used to eat with a spoon, now we can eat the spoo​n, thanks to this ecopreneur. Meet 24-year-old engineer turned entrepreneur Kruvil Patel from Vadodara, Gujarat who has a solution to single-use plastic spoons. New Delhi: Plastic spoons are one of the most difficult plastic items to give up. Reason being its universal presence and utility. But what happens once you have used and discarded a plastic spoon? These spoons survive somewhere on the planet for hundreds of years, polluting land and water bodies. But what if there was a product to replace plastic cutlery and that you can eat your spoon once you have finished your food? 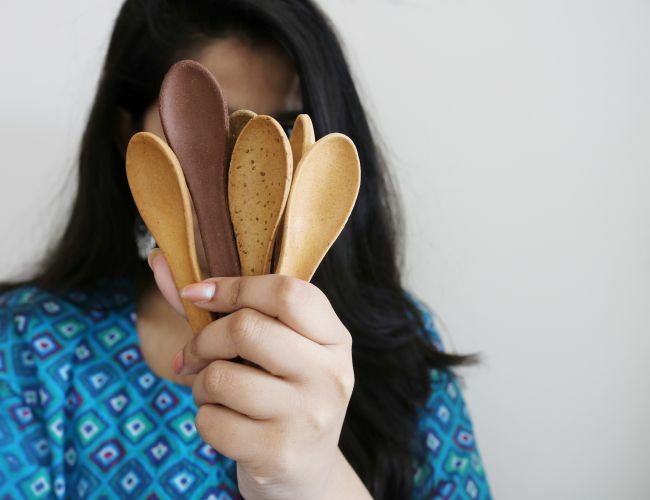 This is now possible thanks to a 24-year-old Gujaratbased entrepreneur who has introduced edible spoons in eight different flavours. While I was in college pursuing engineering, I heard about how edible cutlery is replacing single-use plastic products, which are a threat. The inquisitive in me ordered a couple of edible spoons from Hyderabad. On receiving my order, I realised that they don’t resemble to regular spoons. The quality and taste was not appealing. 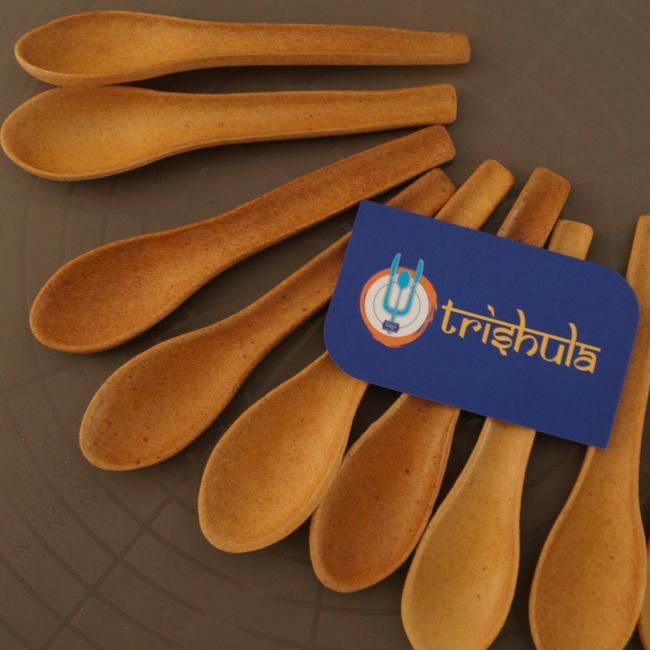 Then only I thought that after college, I will make edible spoons, recalls Kruvil Patel, engineer turned entrepreneur, founder and managing director of Trishula, while speaking to NDTV. After finishing his college in 2016, Kruvil shared his idea of making edible spoons with his family. Being from an engineering background, Kruvil’s father wanted him to join his factory instead of getting into food industry which is neither his forte nor his field. My family opposed my idea of investing months studying about food and related things to produce edible cutlery. But, somehow I borrowed time from them and spent months doing research and development in a rented place. My engineering background helped me in understanding machineries. I even got them customised. In May 2017, I managed to bring out the first product and by November I had Trishula running in Vadodara, tells Kruvil. The edible spoons are a blend of different flours, Indian natural spices, flavours and binding ingredients. 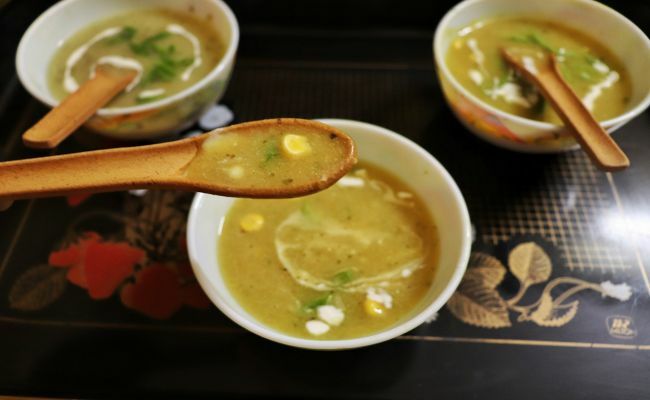 The mixture of the spoon is baked at a very high temperature. With this, the moisture is soaked and spoons become stiff. The spoons are 100 per cent natural with no added preservatives or artificial flavours. Despite this, the spoons have a shelf life of six months from the date of manufacturing. To produce 10,000 units of mint spoons, 10 kgs of mint and 100 kgs of mixture of different types of flours and water is required. Different people have different choices and preferences and we need to keep that in mind. While some have sweet tooth, others like spicy food. Then there are diabetics also, for whom we have plain and savoury spoons. 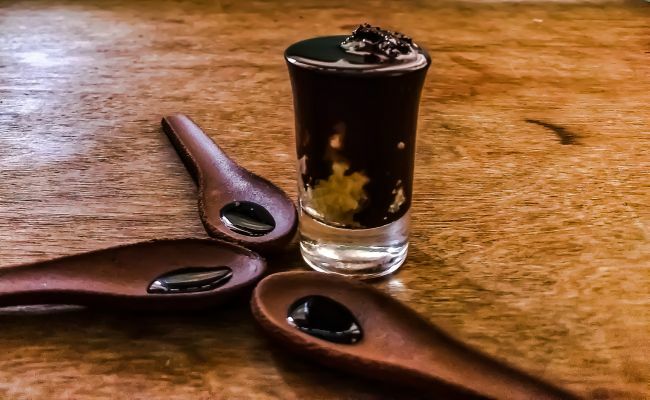 In a bid to encourage brands to adapt to the change, Trishula provides customisation in terms of size, shape, taste of the spoon which is subject to additional charges. 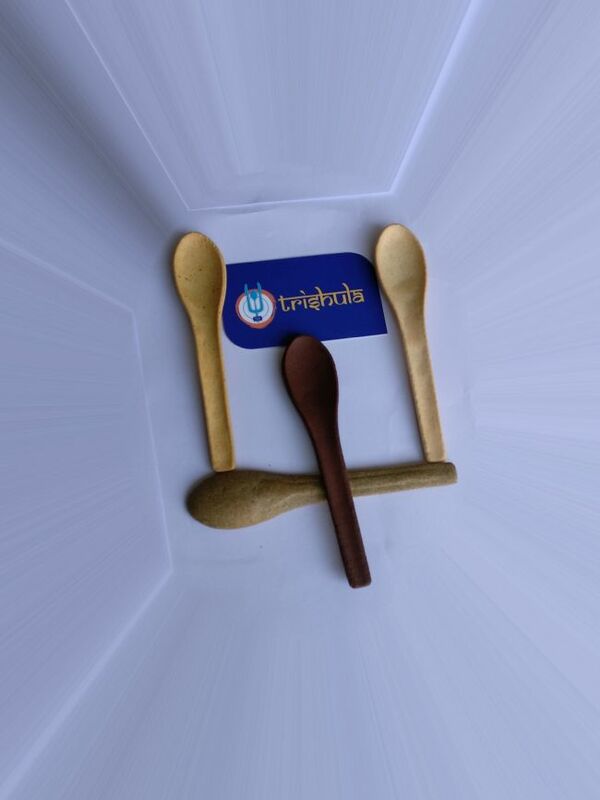 Logo or name can be embossed on the body of the spoon which again leads to additional charges. An edible spoon ranges from Rs. 3 to Rs. 6, depending on quantity and flavour. While plain spoons with order quantity (over 5,000 pieces) cost Rs. 3 per piece, chocolate spoon costs Rs. 4.5 per piece. To give it a try, one can purchase a trial box costing Rs. 300 having 50 spoons of five different flavours. Currently, the products are being distributed through a Mumbai based distributor Living Essentials. One can also order directly by calling Trishula or reaching out to them on Facebook. Within next two weeks, Trishula’s website will be live which will make the ordering process easier. In last four months, the company has sold over 50,000 spoons in India, Australia, Norway, Malaysia and South Africa. Kruvil now plans to expand by opening up a new manufacturing plant at Lamdapura, which will have a capacity of producing 5,000 spoons per hour. The organisaton also plans to widen its scope by producing other items of cutlery. You can eat the spoons as a snack if hungry and even after using it as a cutlery. It is a win-win situation. Also, they are nutritious, healthy, tasty and even smell great so why not make a switch, signs off Kruvil. Previous Post: What all can we learn about Recycling from Indian moms? Next Post: With the Efforts Of This 27-Year-Old From Mumbai, 300 Tribal Women Ditch Unhygienic Menstrual Practices.